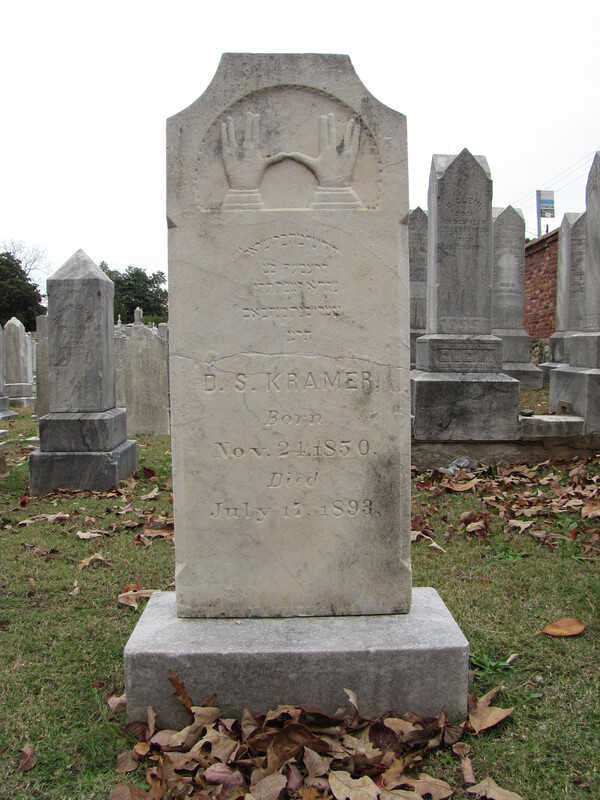 The Oakland Cemetery in Atlanta, Georgia, has a section that was purchased by Russian Jewish immigrants who belonged to the Ahavath Achim Congregation for the burial of their members. This particular white marble tablet displays a commonly seen funerary symbol found on Jewish tombstones–Cohanim. The two hands in this position represents a priestly blessing. The origin of the word–Cohen–is Hebrew for priest. Cohen is singular, Cohanim is plural. Families with the last names of Cohn, Kohn, Conn, Cahn, Kahn, Cohen, and Kohen are believed to be descendant of Aaron, the brother of Moses, and the first of the family name–Kohen. 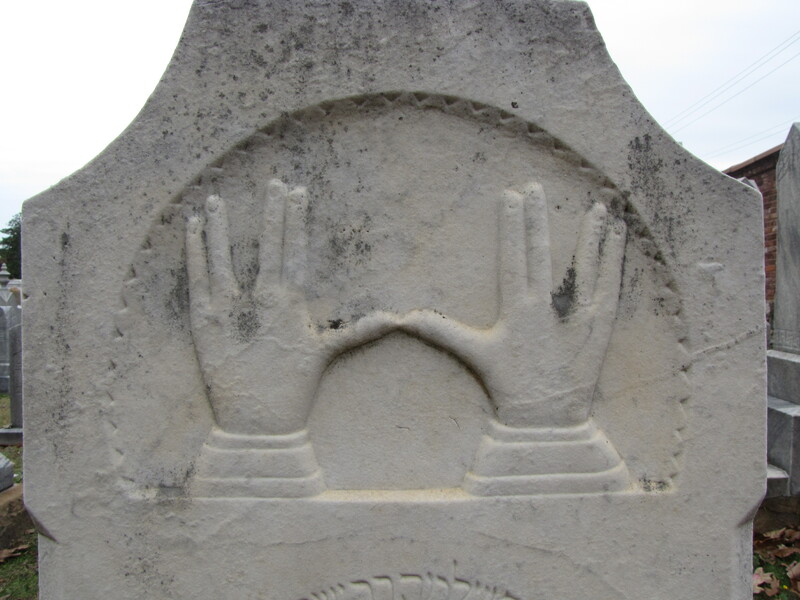 This symbol of a hand with fingers separated most likely looks familiar to Star Trek afficionados and Mr. Spock fans as a Vulcan hand sign, coupled with the often repeated “live long and prosper” greeting. Leonard Nimoy, who saw this blessing as a child attending Temple, suggested a one-handed greeting for his for his character on the iconic television show. Very cool, Mr. Rife. I especially like the Star Trek connection!